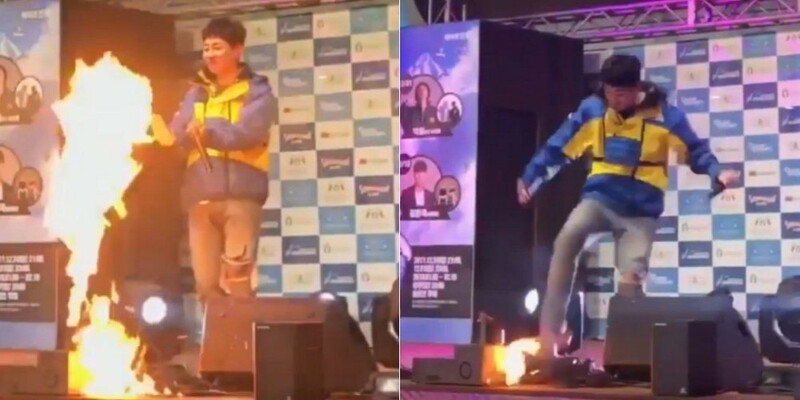 DinDin is making netizens laugh at his reaction to fire on stage. 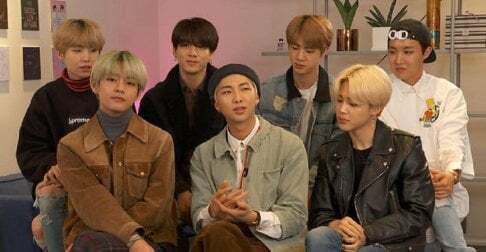 Recently, the rapper shared a video from 'Riding Concert', which took place at Vivaldi Park in Gangwon. The clip shows DinDin performing "Dokdori", and during this stage, fire shoots up from the front as part of the performance. 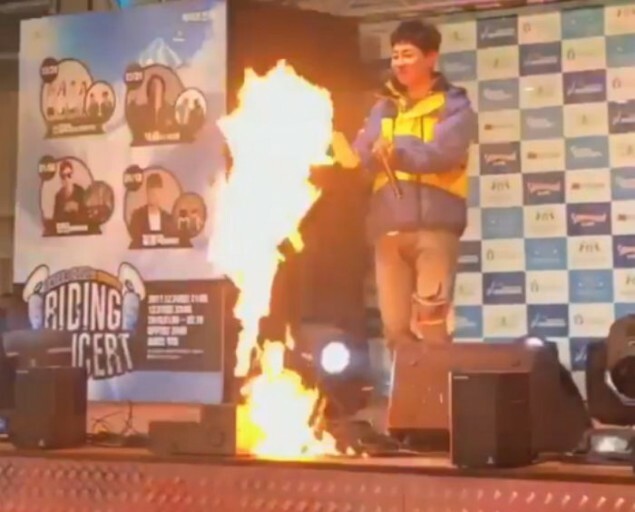 At first, DinDin coolly reacts to the fire, pretending to warm his hands. 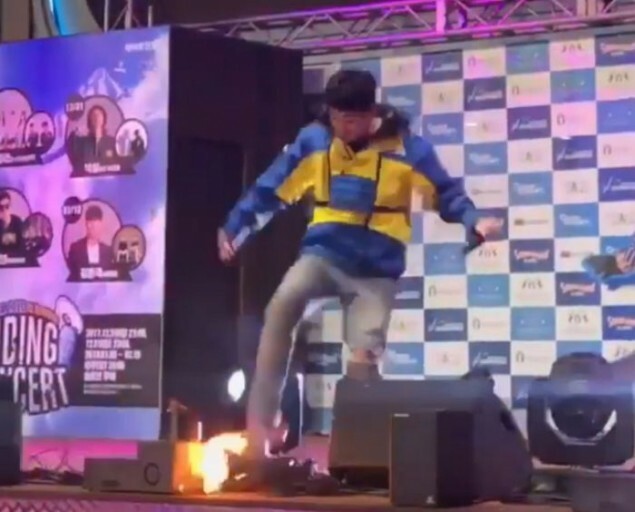 However, DinDin loses his cool when the fire unexpectedly spreads to the wires on stage. He jumps in surprise and quickly steps on the fire in an attempt to turn off the flames. Despite the dangerous situation, seeing DinDin's reaction, netizens commented, "Lol this is so funny and cute", "What a hero lol", "Nice reaction to danger", "Omg, of course, DinDin lol So funny." ?? ???? ???? ?? ??. ?????? ?? ??? ???? ? ??? ?? ? ?? ???? #????? #?? #????? #Repost @k__xx97 (@get_repost) ??? ? ? ?? ?